RiverWalk is a complete resort experience, with many on-site amenities and services including a restaurant and lounge, winery, and spa. When all of these things come together, the experience at the RiverWalk Resort at Loon Mountain is nothing shy of exceptional, including the memories being made there. RiverWalk Resort at Loon Mountain offers an extraordinary ownership experience. Conveniently located in Lincoln, New Hampshire off Interstate 93 and just two hours from Boston, RiverWalk is in the heart of all there is to see and do in the White Mountains of New Hampshire. Ski and ride Loon Mountain just steps from your door, relax along the shores of the Pemi River, and enjoy endless attractions and activities within minutes of the resort. Residences at RiverWalk offer full kitchens, with the newest KitchenAid appliances and plenty of space to entertain. Outdoor balconies boast impressive views of Loon Mountain, the Pemi River, and meticulously maintained grounds around the resort. Studio, one, two, and three bedroom, as well as executive and penthouse residences available, most sleeping 8-10 people. No expense was spared to make RiverWalk a truly unique experience for all that are lucky to have it. This $33 million resort development opened its first phase of luxury residences in the spring of 2016 and plans for future expansion, amenities, and services are well underway. Residences at RiverWalk offer not only an exceptional experience, but ownership of a piece of history at one of the newest grand resorts in the Northeast. We absolutely love all the benefits of ownership, and we use them all. For those who enjoy traveling to other locations, ownership at RiverWalk provides access to the Disney Vacation Club, RCI’s prestigious Gold Crown designated resorts and the elite Registry Collection. 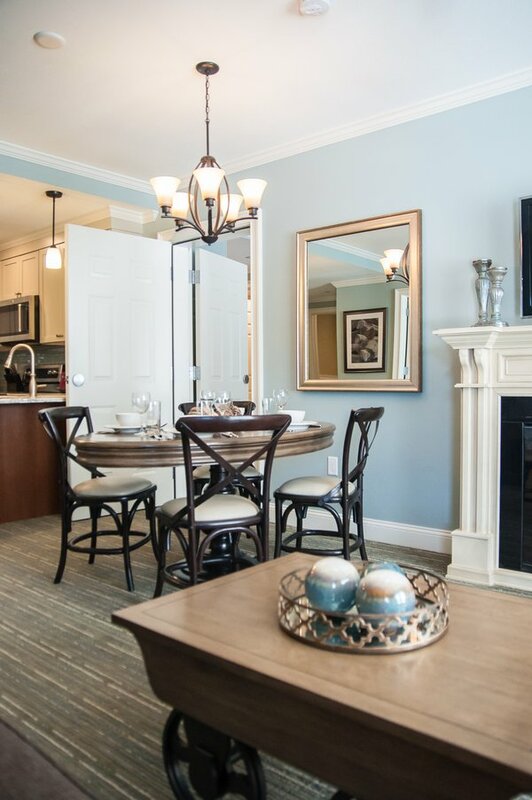 Ownership at RiverWalk is designed to be effortless. Unlike traditional second home ownership, there is no stress, maintenance, unexpected costs, repairs or time wasted cleaning and maintaining your second home. If owners do not use all of their days/weeks, our optional in-house rental program is a simple way to have their residence rented for them to generate rental income. Fractional and year-round owners can access additional nightly stays through our Space Available Program. During unowned time, owners can book and stay in a comparable residence at RiverWalk.